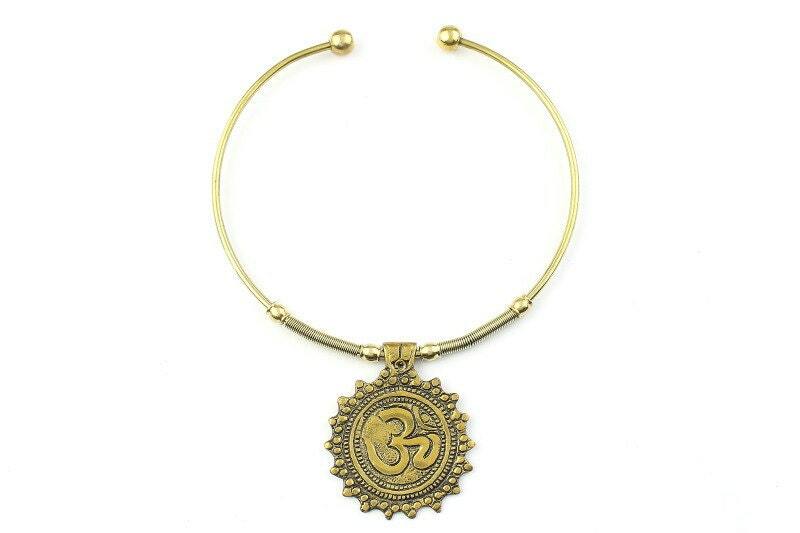 Mandala style brass pendant displaying a center Om. Patina finish accentuates the details of the pendant, giving it a treasured vintage appearance. 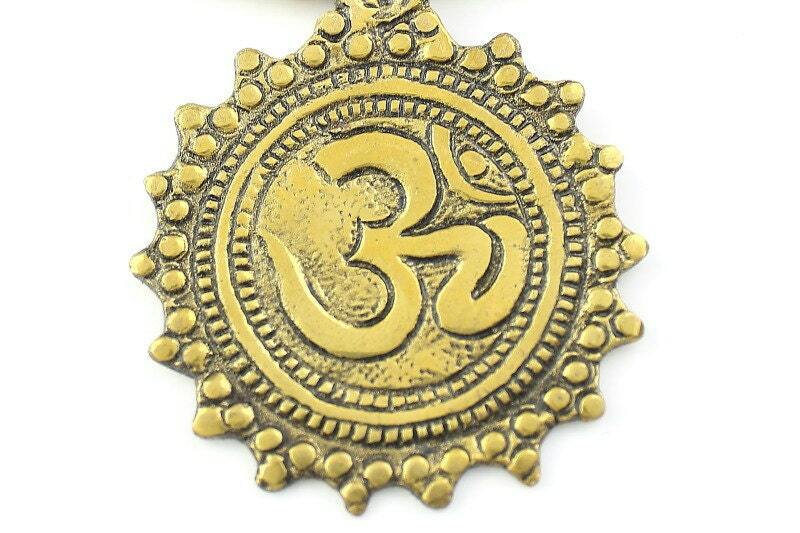 Large pendant hangs from brass collar.